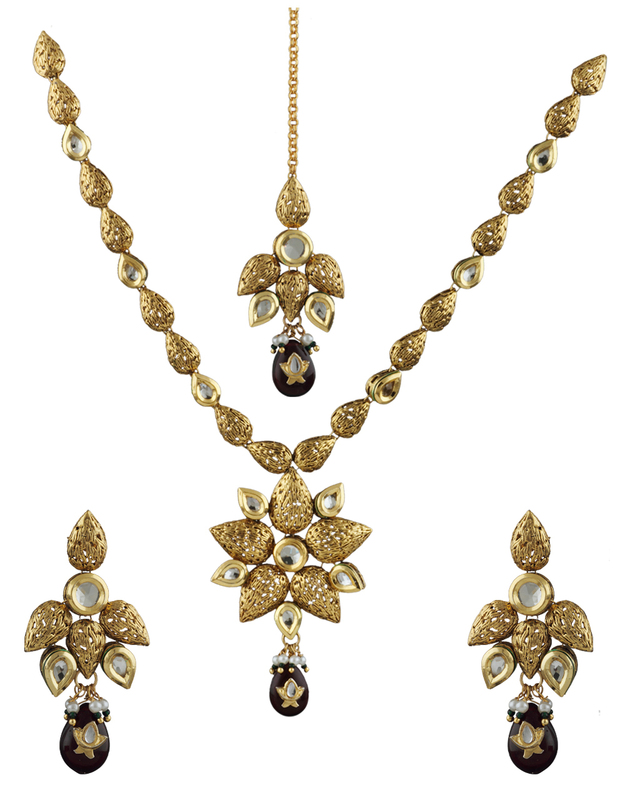 Look dazzling at a next evening party, wearing this golden colored necklace set from the house of Anuradha Art Jewellery. Featuring a striking design & excellent matte finish, this set will look great with all types of outfits. 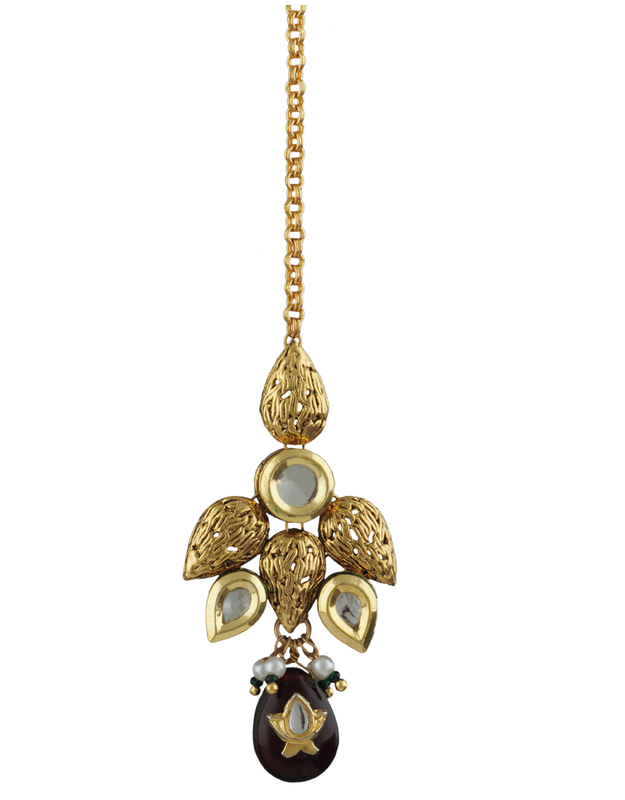 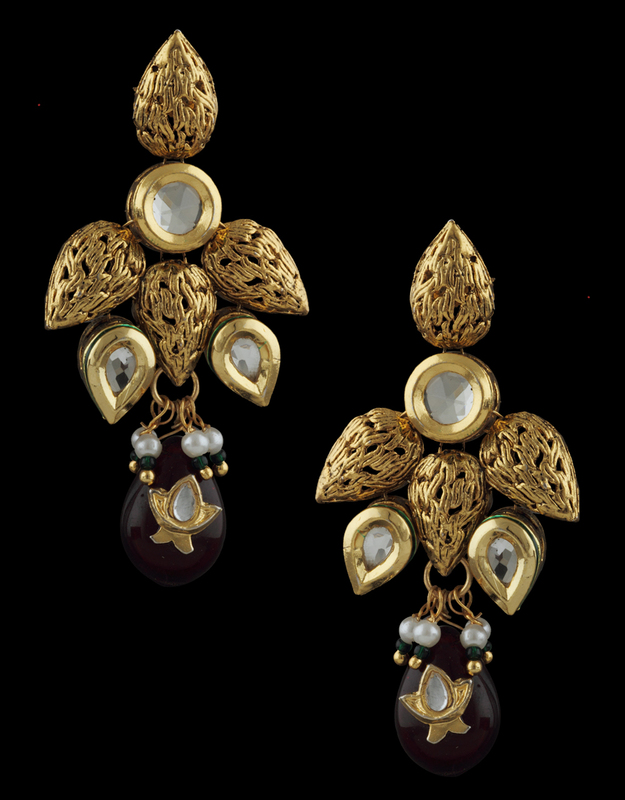 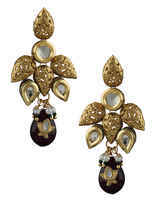 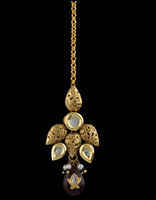 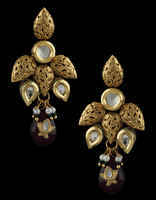 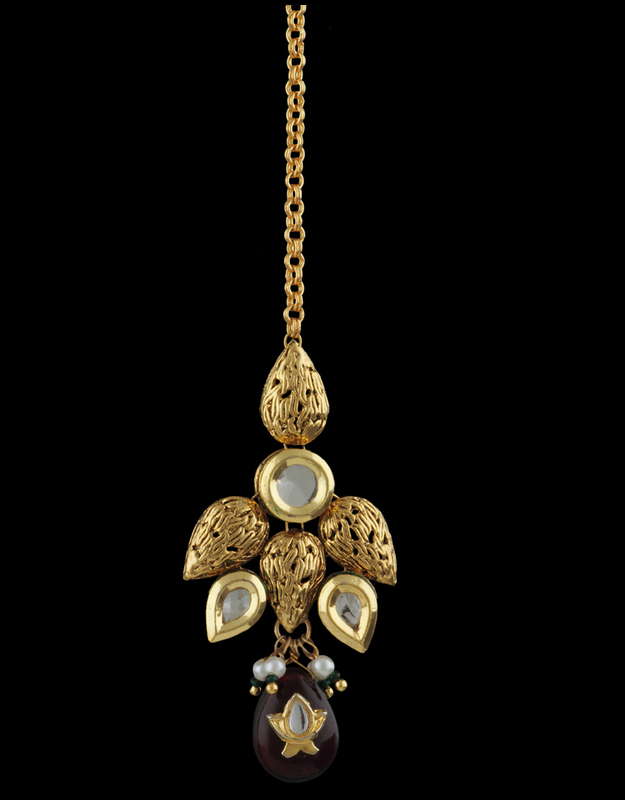 Studded with kundan & fashioned from 40% silver & golden matte polished copper. 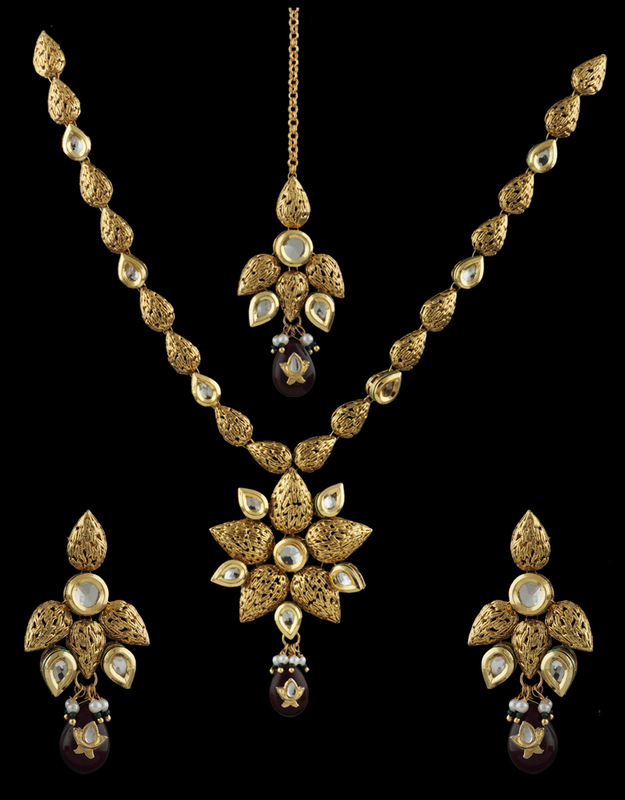 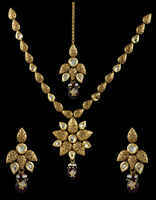 This set comprises neckpiece, pair of matching earrings & maang tikka.